A few years ago when I started writing content I did not imagine that I was going to become a full-fledged digital marketing training provider. Currently, Online Seller UK delivers training from Google Adwords, google shopping to content marketing and email marketing. 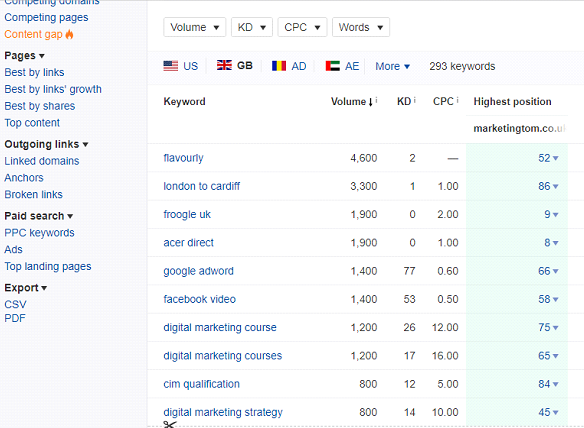 This shows that Online Seller UK is weak in highly searched keywords “digital marketing courses”. So, in the next few months, my focus will be to write as much content as possible in this area. All this analysis looks really cool and very clever but doing too much analysis can sometimes be wasteful. Sometimes, you could be better off ignoring all this and just focussing on creating useful content for your customers. The whole idea of content is not for the SEO but for the customers which will increase conversion from your site. 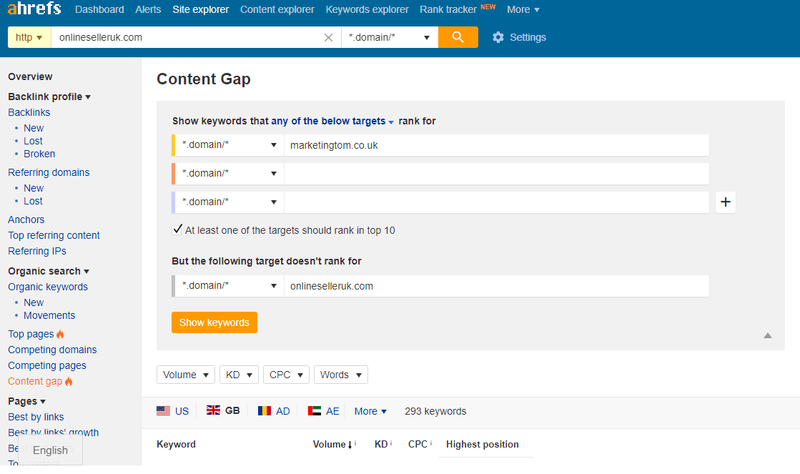 If you want to find out what your customers are asking in search engines, check out tools like answerthepublic, your SEO search queries report in your Google analytics and your site search report.